Bank of America Merrill Lynch crunched the numbers and found that companies with a higher share of women holding executive positions had historically outperformed. The firm also says those companies experienced less stock price and earnings volatility. Bank of America Merrill Lynch has a solution for any company looking to boost the bottom line: Appoint more women to executive positions. 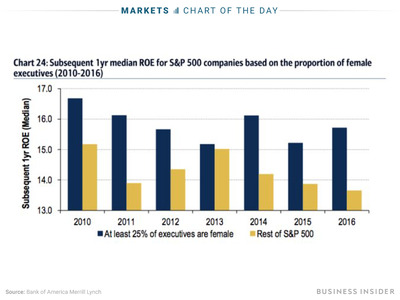 Over the past seven years, S&P 500 companies where at least 25% of executives were female generated higher one-year returns on equity than the overall index, on a median basis, according to data compiled by the firm. 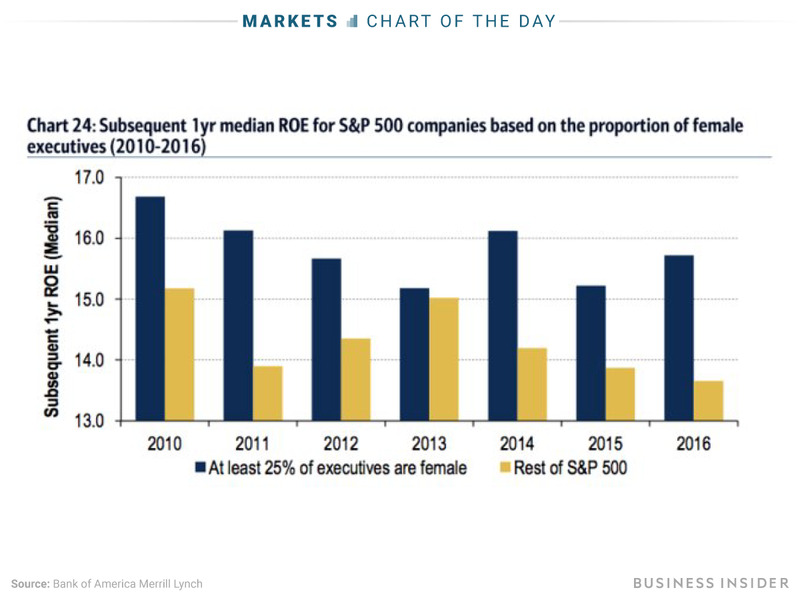 “Gender diversity may drive better returns,” BAML strategists led by Savita Subramanian wrote in a client report, noting that women make up just 22% of S&P 500 boards right now. This chart shows this dynamic at work. The blue bars represent companies where women hold more than 25% of executive positions – and as you can see, the group has outperformed in each of the past seven years. 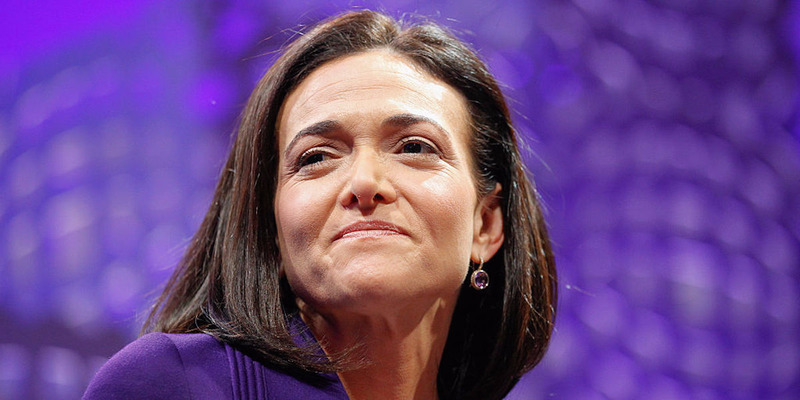 According to the study, companies in the top quartile for gender diversity were 15% more likely to see their operating income surpass the industry median. “Companies that invest in women tend to have more favourable fundamental attributes, and with the rise in impact investing, a growing investor base,” the firm said.